MIAMI (March 29, 2019) – Earlier this year, precisely on his birthday, Yandel celebrated with a special gift: new music. Today he surprises his fans with the final selection of the musical creations that he has been working on for some time; his sixth solo production “THE ONE” (EL ÚNICO). 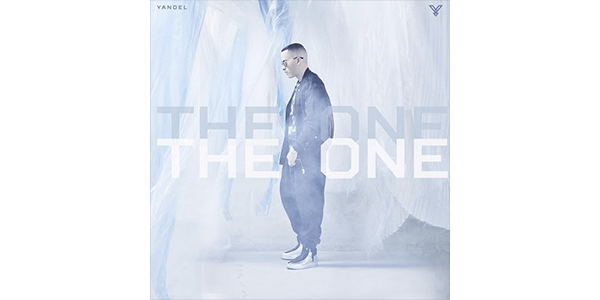 “THE ONE” contains 17 tracks, played by Yandel in its entirety. With an hypnotic and sensual sound showcased in “Calentón“, the singer and producer rhymes naturally between English and the Spanish. “THE ONE” was recorded at Criteria Studios in Miami, produced by Yandel with Tainy, Jumbo (el que produce solo), Los Harmonicos ‼️‼️, Gaby Music, Luny, PJ, Nesty “La Mente Maestra”, IamChino, Jimmy Joker, Earcandy, Jorge Gomez, Dimelo Flow, Sharo Towers, Magnífico and Soür (Adrian Veguilla Espada) in his first collaboration with his father. Yandel is submerged in a powerful proposal full of sensual lyrics, urban influences, and infectious musical rhythms ranging from R & B, reggae, and marked Afro Caribbean roots. Yandel comments: “I am really excited to present the rest of this project to my fans and to give them my sixth album as a soloist. One of the reasons why we named it “THE ONE” is because, unlike other musical projects, it is presented mainly through my voice and without the participation of guest artists. I enjoyed the creative process beginning to end, looking for new styles and adapting them to the urban sounds of the moment”. “Calentón“, the musical cut in promotion comes accompanied by its respective music video. The video, under the direction of Daniel Duran, was filmed in Buenos Aires, Argentina where on a mystical trip, in a secret location, him and a powerful group of dancers are participants of a great urban-tribal dance party where the accumulation of desire and the infectious rhythms of the drum light the night. His last solo album #UPDATE, has surpassed 1 billion streams views on all the platforms combined, was most recently certified Platinum by RIAA. Additional career highlights include two Latin GRAMMY® Awards in 2016 in the categories of “Best Urban Fusion Performance” and “Best Urban Song;” a Latin American Music Award for “Album of the Year;” and a BMI Award for “Encantadora.” Also, Yandel was a finalist in the 2017 Billboard Awards for Latin Rhythm Album of the Year – Solo, Latin Rhythm Album of the Year – Dangerous, Tropical Song of the Year – “Imaginar“, and Latin Rhythm Song of the Year – “El Perdedor“. He also received nominations for Premio Lo Nuestro, iHeart Radio Music Awards, and his video “Nunca Me Olvides” was nominated for a Berlin Music award. He is currently touring alongside his friend and music collaborator Wisin in their “Como Antes Tour”.